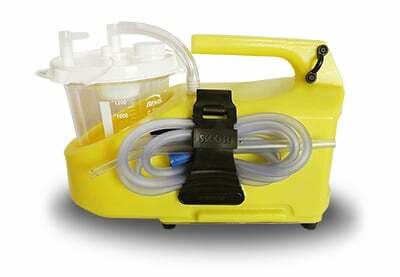 The right portable suction machine is an integral part of patient care. 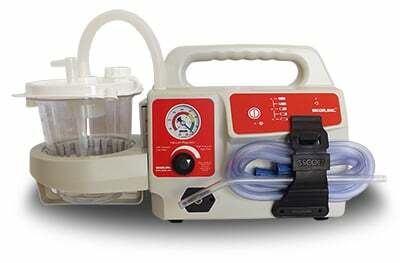 Although most people charged with hospital purchasing are aware of the role of wall-mounted and non-portable suction in patient wellness, they may not consider the importance of portable suction. Before you make this important purchase, here are five facts you need to know. 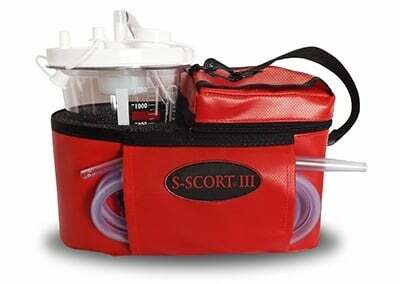 Portable suction is a key component of compliance. 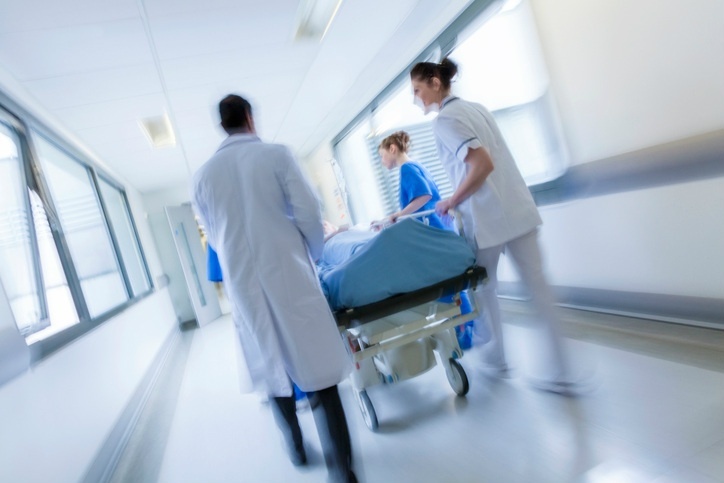 The Emergency Medical Treatment and Active Labor Act (EMTALA) requires hospitals that receive Medicare and Medicaid funds to provide stabilizing treatment to emergency patients and women in labor. The mandate extends beyond hospital walls to a 250-yard radius surrounding the hospital. So a neonate born in the parking lot, a choking child in a car, and an aspirated patient entering the emergency room are all entitled to care. A portable suction machine ensures that you can quickly access and care for patients, wherever they are on your hospital’s campus. Not only will this save lives, but it will also ensure that you don’t run afoul of the law. 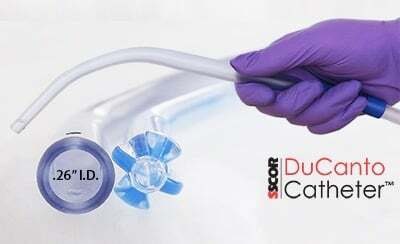 Suction is a common, daily need. Protecting the airway during surgery. This is especially important in emergency patients, who are at an increased risk of aspiration. Clearing the airway in neonates. Aspiration is common among newborns. It can be deadly when a baby aspirates meconium. Prompt suctioning with an appropriately sized catheter may be life-saving. Treating aspiration and choking. More than 5,000 people die from choking each year. Hospitalized patients face an increased risk of aspiration. 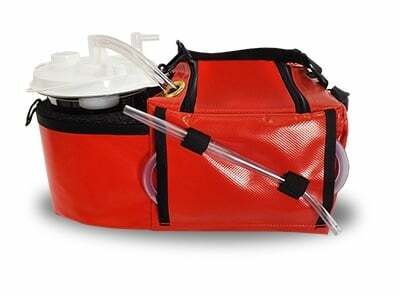 Portable suction can prevent an accident from turning into a tragedy. Caring for people with respiratory disorders and infections. 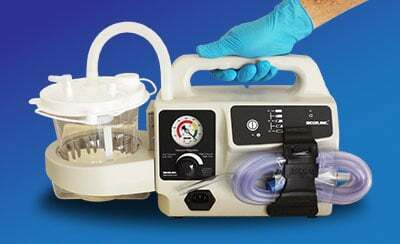 Suction is critical for people with pneumonia, COPD, and other respiratory disorders. It is especially vital in populations with limited mobility and poor muscle tone, such as those with spinal cord or brain injuries, advanced dementia, and conditions that require the use of a ventilator. 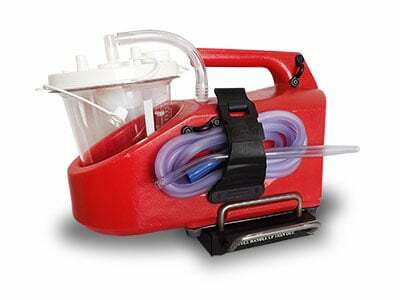 Portable suction offers greater flexibility. Suction is more than just the suction machine. 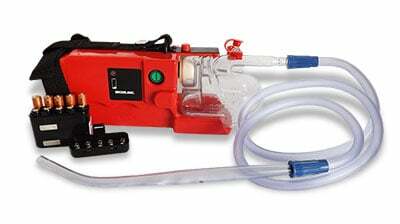 While the right suction machine can make or break your emergency response, a quality machine alone is insufficient. You also need the right accessories, including catheters in a range of sizes. What works well for an adult can be dangerous for a neonate with a smaller, more delicate airway. So treat accessories as a part of your portable suction kit, and store a variety of disposables in a range of sizes with the machine. The machine you choose can affect patient care. Battery life and charging time. A machine that loses suction or that has a very short battery life can lose power when lives depend on it. Compatibility with accessories and disposables. Select a machine that is compatible with the accessories you already have. Suction power and flow. The machine should be easy to adjust, so you can serve all patients—from neonates to geriatric patients. Maintenance and warranty. A machine with a weak warranty may constantly break or become a financial drain. Choose a machine made by a company with a robust warranty and an easy maintenance plan. SSCOR believes every patient deserves quality, life-saving care and that every healthcare provider should be empowered to offer this care. For our advice on purchasing a portable suction machine, download our free guide, The Ultimate Guide to Purchasing a Portable Emergency Suction Device.